Hoodies are having a stellar comeback this season—which means your outfits are about to get warmer and your layering game, better. Whether your style is laid-back, edgy or more refined, there’s no reason why you shouldn’t take this urban classic for a fresh spin. Hoodies serve you casual panache for both your lazy and your hustling days, so you can wear them with virtually anything in your closet. Scroll down to see how to wear a hoodie! Lightweight hoodie (n.): a hooded shirt or zip-up hoodie made of a thin knit fabrication; usually comprised of cotton, polyester or a cotton-poly blend—sometimes with spandex in it. It’s simplicity at its best. The key to wearing your hoodie by itself? 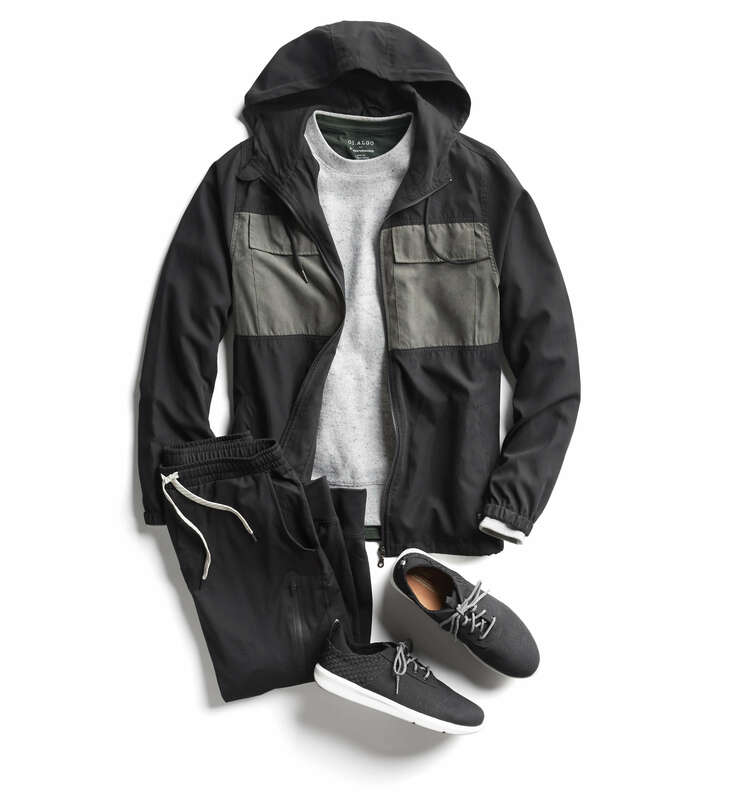 Stretch for a hooded shirt that will stand on its own (think a hooded henley with contrasting details) and anchor it with dark wash jeans and sleek sneakers. Shooting for a sharper result? Pair an athleisure grey hoodie with black jeans and charcoal Chelsea boots. Stylist Tip: On beach days, wear your lightweight surf-stripe hoodie with hybrid shorts and sandals. 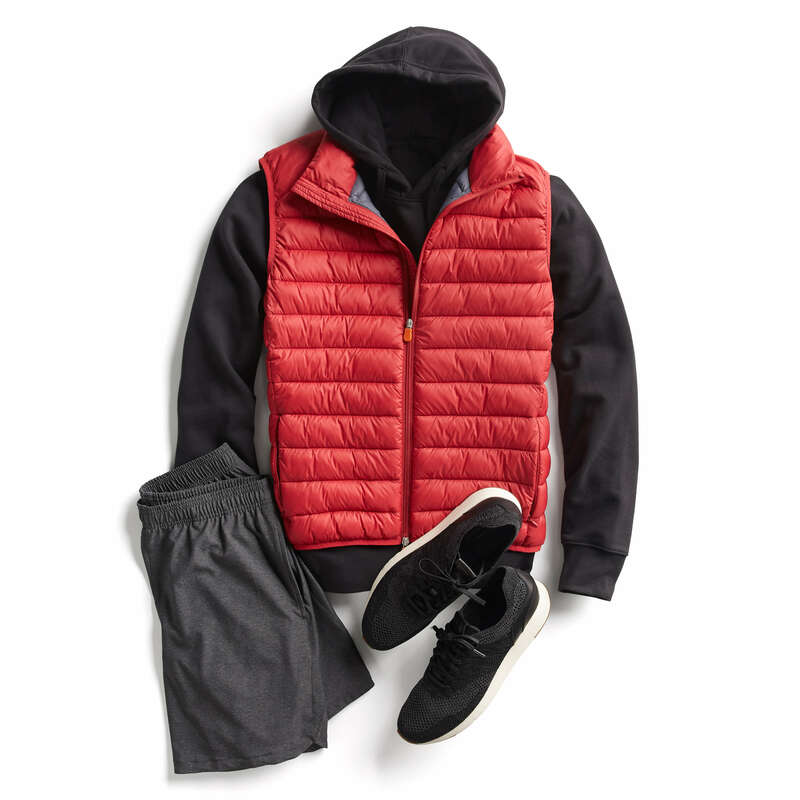 Whenever you’re transitioning seasons and casual, easy layering becomes a wardrobe must, just throw on a plaid flannel over your black hooded shirt—or try a rugged denim shirt over a lightweight zip-up hoodie and a graphic tee. To finish off these looks, remember to pull out the hoodie over the collar of your shirt; complete with your trusted jeans and all-around Chukka boots. Heavyweight hoodie (n.): a pullover or zip-up hoodie intended to be worn as outerwear; it’s made of a thicker fabrication, usually comprised of cotton, polyester (often in the form of fleece) or both. This type of hoodie will layer nicely over a short or long-sleeved tee. If it’s getting chilly outside, choose a fleece hoodie to stay warm—and opt for a zip-up or a henley if you want to show off a tee underneath. 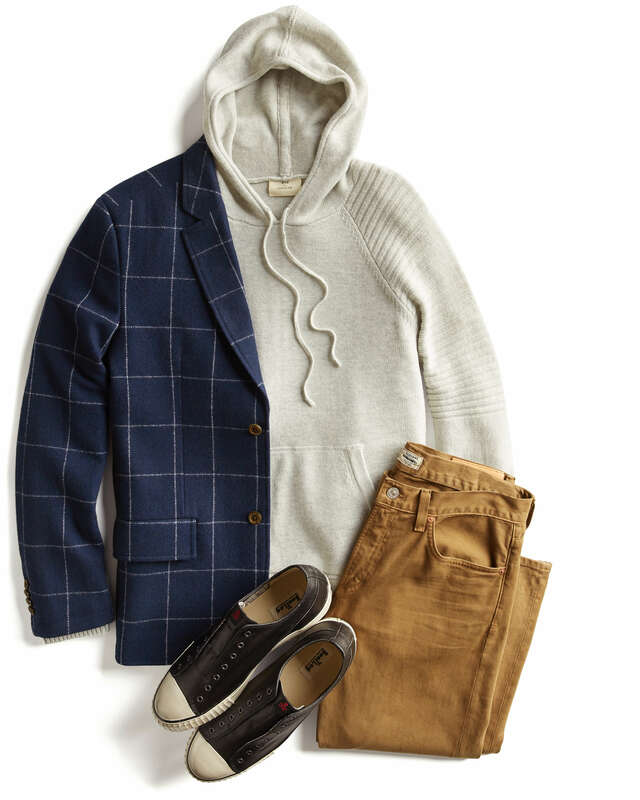 Add dimension to your outfit by layering your navy hoodie over a tee with mustard and white stripes, and take it the extra mile with 5-pocket olive pants and brown leather sneakers. If you love modern, contemporary looks, mix dressy and casual by layering ¼ zip-up lightweight hoodie over a dress shirt and under a slim fit suit jacket. Add coordinating slacks and sneakers to really own the look. Stylist Tip: Remember that a slim-fitting hoodie will always tilt the scales in favor of a more elevated, polished look. There’s no question about it: this distinctive staple deserves some serious primetime in your wardrobe rotation. Request a hoodie in your next Fix!